Sited and built in 1994 by an architect, 'The Berkshire House' takes in a master view east over the Berkshire Mountain with close proximity to all the cultural activities the area has to offer.The light travels right through the space inside this contemporary home with traditional lines and an open layout. Nature is framed throughout transporting the outside in.Main living room with fireplace is open to the formal dining space with French doors to deck and peeks enough into the kitchen that all can converse with just enough separation for good working space and entertaining.Lower level has a multi-functional room currently used as the den and office area with French doors that open to a pergola covered terrace. A beautiful custom wine cellar and full bath complete this level. For sale for the first time by the owners who built it. 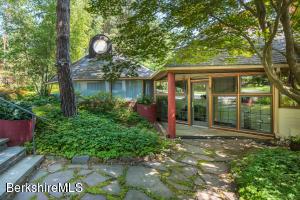 This gorgeous 3000sq ft , custom built, riverfront home sits on almost 7 acres with over 700 ft of Green River frontage. House includes custom kitchen with lg island, top of the line SS appliances, huge vaulted open LR with soaring wall of windows, oak floors , covered porch, wide deck overlooking river, Central AC, full house generator, water softener, 2 heat stoves(1 propane&1wood), 3 car garage. The 3BR are generous in size plus there is even a sleeping loft/entertainment room. Plenty of room for guests with 3.5BA. 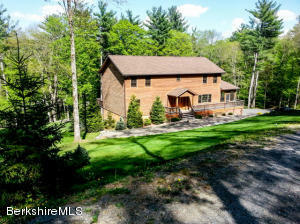 Great all season home, ski at nearby Catamount, swim in the river from your own private beach. Great shopping in nearby Berkshires, Great Barrington, Hillsdale and the hip village of Chatham. 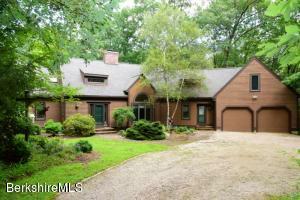 Grand Family Home located in the heart of downtown Lenox. 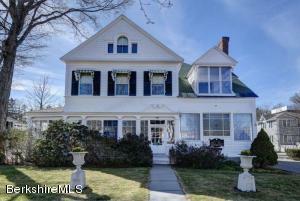 Built prominent New Yorker this gilded age Berkshire Cottage offers so much. 10 Working fireplaces just wonderful character and detail throughout.Currently operating as a B&B The Summer White House. NEW CONSTRUCTION with water access and views ready Spring 2019. 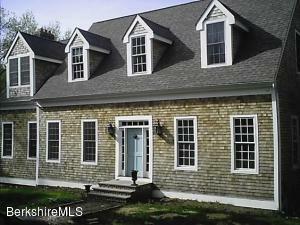 Highly experienced builder with portfolio of multi state properties. State of the art ''green'' high efficiency heating and cooling system, windows roof and insulation. Spacious Great Room with high end kitchen, wall of windows and sliding glass doors facing water views. Laundry and Mudroom, Master bedroom suite and finished walkout lower level. 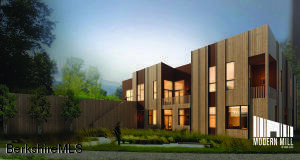 Opportunity exists to work with builder on custom finishes and design elements. 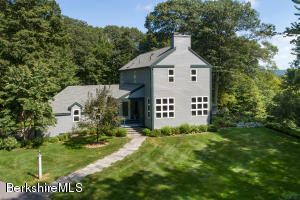 Minutes from downtown Great Barrington and all attractions. 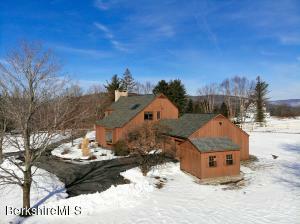 This is a magical property privately set in Bishop Estates. Mature trees, lovely landscaping, gardens and apple trees create a beautiful environment outdoors which can be enjoyed from the interior space through the panoramic sweep of windows. Dramatic cathedral ceiling crowns the great room. Wonderful large seasonal room great for entertaining. First floor master suite. Two cozy bedrooms with a full bath on the second floor. Separate guest wing. Covered walkway to the dramatic 946 sq. ft open studio with full bath, perfect for art, music, yoga, dance or additional guest and entertaining space. Heated swimming pool with electric cover. All this within a mile's walk of the center of Lenox! (HOA fee $1,200 a year).